Lemon juice is an unexpectedly good cleaning agent and odour-eater. If you are looking for an economical and environmentally-friendly way to clean around your house then try this magical, readily-available juice. If you're fed up with using detergents that are less than kind to your skin, then take a look at this all-natural, super-safe alternative. Combined with bicarbonate of soda (baking soda) it is a powerful enemy of tough-to-clean areas such as the sink. 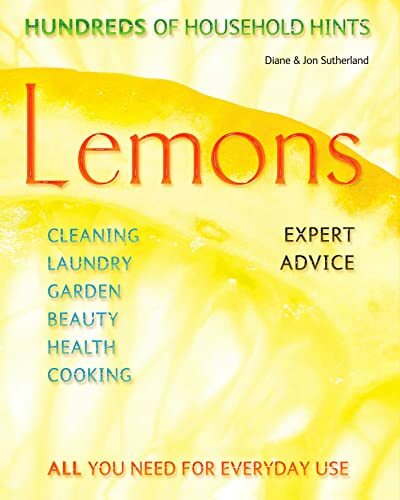 Also, lemons' natural fragrance is particularly useful in dealing with smelly refrigerators and cookers. This perfectly practical guide is packed with hundreds of tips for every household.